CandysDirt Open House Roundup Will Knock Your Socks Right Off! 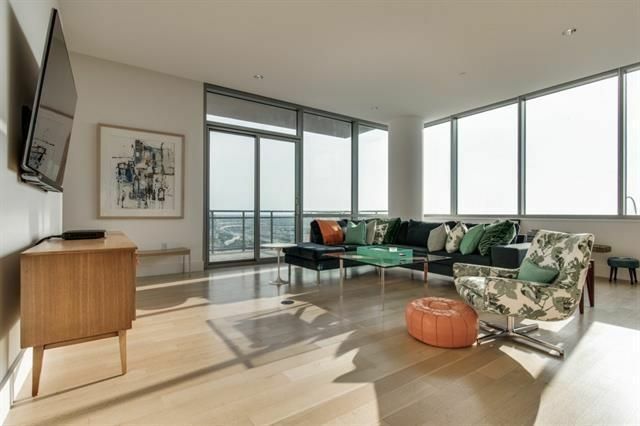 The Phillipe Starck condo in Victory Park is one of our five featured open house roundup this week. 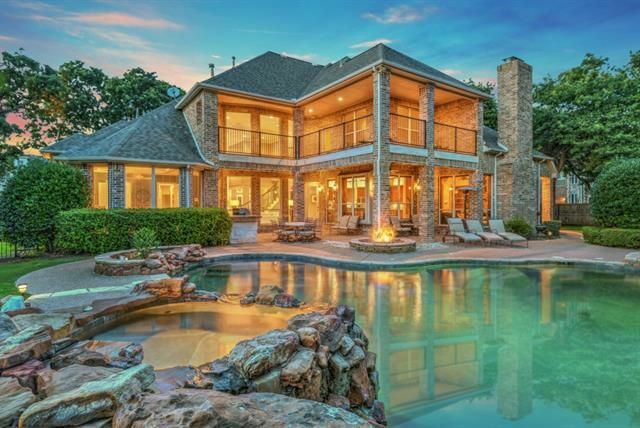 Every week, we give you an insider look at great DFW properties with our CandysDirt Open Houses of the Week column. 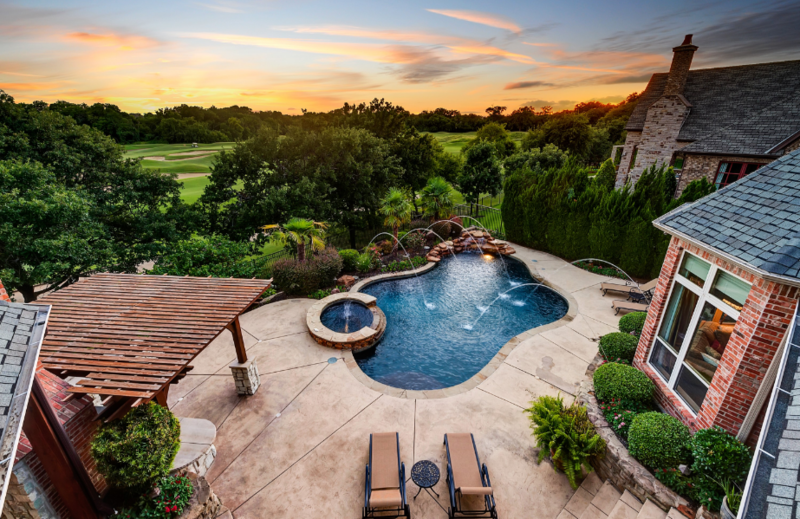 We pick five “don’t miss” open houses around North Texas you shouldn’t miss. 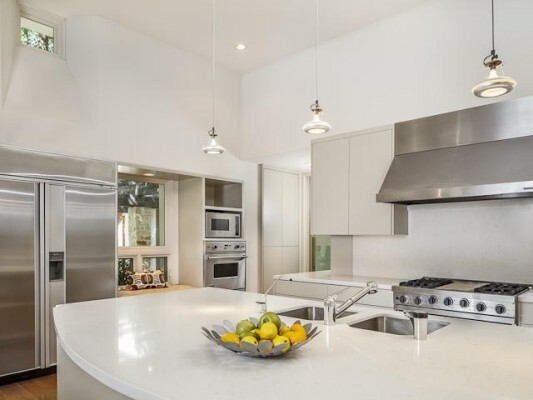 This week, our houses range in price from $439,000 to $1.2 million. 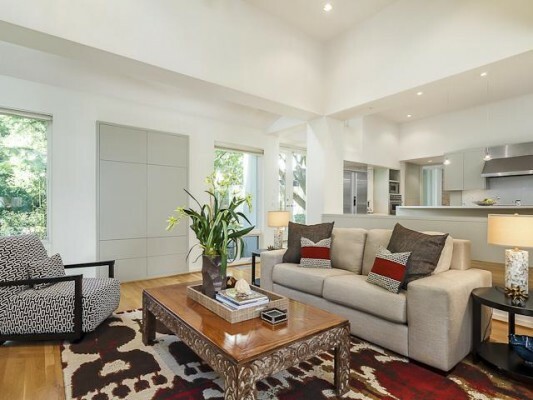 You’ll find a a renovated Forest Hills ranch with over 3,200 square feet, a Hollywood Heights/Santa Monica cottage with a master bedroom addition that will make you swoon (check out the ceiling! ), and more! Let us know what you think of our choices, and if you know of any we should feature next week! 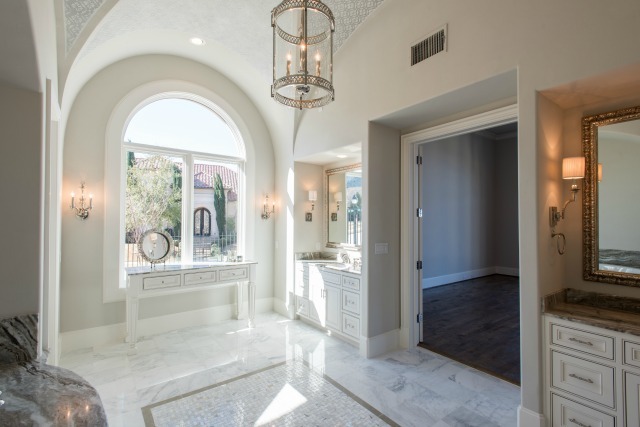 There is that one aspect of great design that every homeowner hopes to achieve: timelessness. Who wants their home, like their shoulders, to be defined by the fad of an era? Not me. I am stuttering over the “t” word here (turrets. There, I said it.) or the low slung rooflines of the ’60s and the dark wood interiors of the ’70s. Shag carpet, shudder but that can be changed by a single phone call. 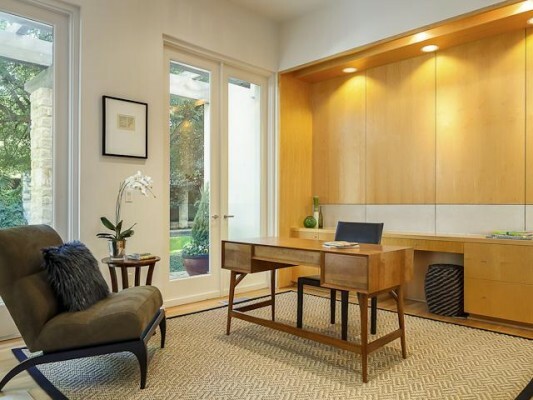 We all know that Old World Faux Pas and rock is becoming passe, unless the rock has been combined with sleek woods and triple paned glass, preferably non-reflective. 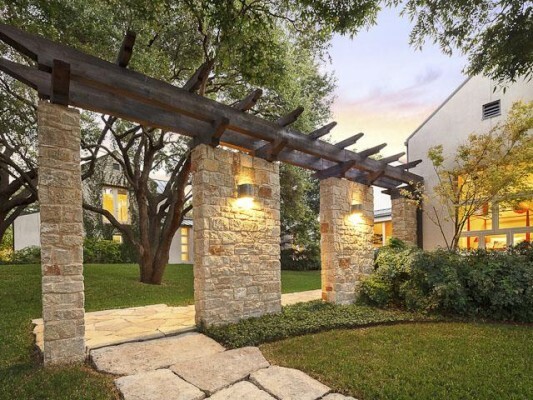 That is why I gasped when I walked into 2 Los Arboles Court, an exclusive gated community right off Forest Lane almost smack dab between Preston Road and Hillcrest, one -half mile south of LBJ. This home is 17 years old. No way. It was the mastery of architect Ken Burgess, whose name even graces the home on a discreet platinum plate, that this home truly looks as if it were built in 2012. Ken believed that a house should evolve from its site, that humans were most comfortable in symmetrical environments, and he believed in nature as a calming influence. Those are qualities that are timeless. The late architect was raised in New Mexico and studied at the University of Texas under Hall Box in the 1970s, or so Doug Newby tells us. His passion for everything southwest is evident in his modern work that plays off images of Texas. His houses are designed as clusters of smaller separate structures. But unlike Frank Lloyd Wright and his silly notion of “living outdoors”, Burgess’ works are connected by long galleries covered by a gently sloping standing seam metal roof. 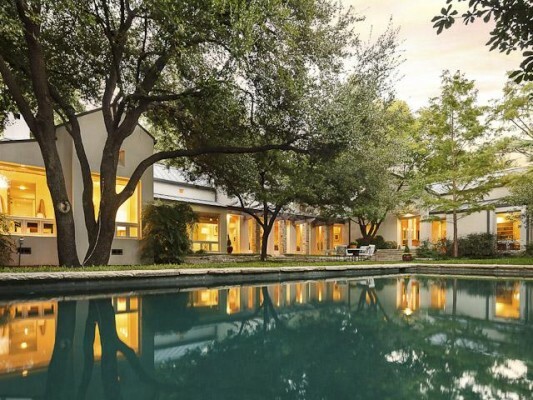 He is best known for his most vertical residence found at 2814 Park Bridge Court off of Turtle Creek Boulevard, yet he has designed many homes throughout Texas as well as San Francisco, Vermont, and New Mexico. 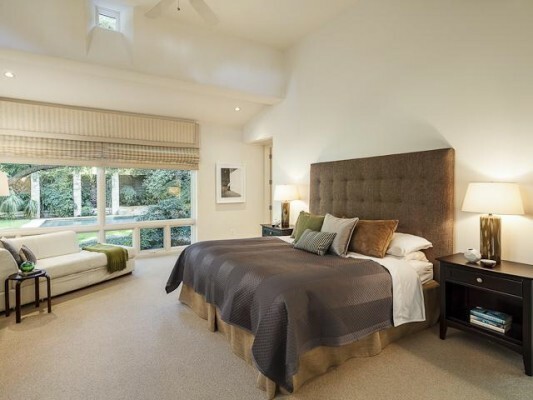 At 2 Los Arboles, you have an immediate connection with the exteriors before you reach the front door. A good part of the property is in the front yard, where three huge trees serve as sculptures. Then, the house. Maple hardwoods are everywhere, and the living room is defined by a sunken step-down. The kitchen is totally updated, and the laundry room large enough to be called a wrapping room at the long built-in desk. 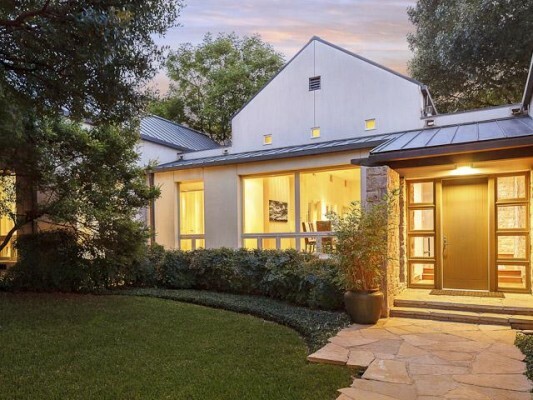 There is storage everywhere, including a nook for a pet crate, a mail nook, an exterior potting porch, a half-bath for the pool, natural light, walls for art, and serenely beautiful views of the grounds from every window. 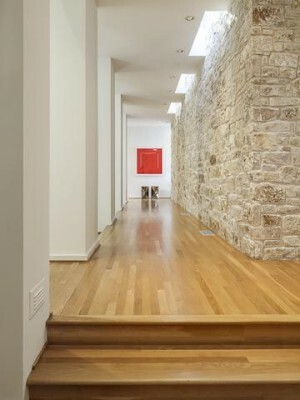 I really loved the way the architect left the natural stone as part of the hallway wall, creating visual interest and texture as only natural stone can. Then there are the bedroom wings: on one end are two bedrooms and a shared bath, ostensibly for the children. As you walk in to this wing, you face a giant chalkboard wall where messages and reminders can be left –brilliant! 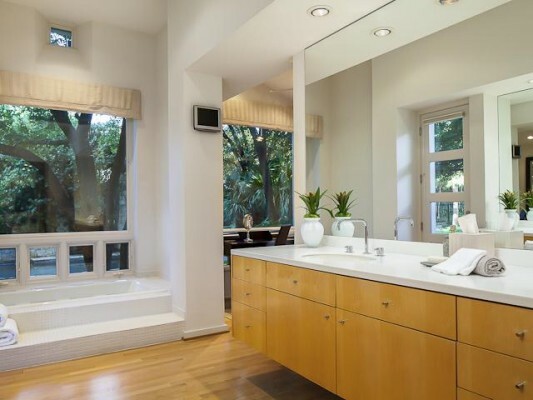 The master is in it’s own “pod” complete with sitting room and huge spa bath, closet. A huge cedar closet is also nearby. Two other possible bedrooms are located over the garage, though I would keep one exactly as it is: an exercise yoga or pilates room complete with wall mirror and barre, connected to the other room via a bathroom. You want a playroom, you have it. 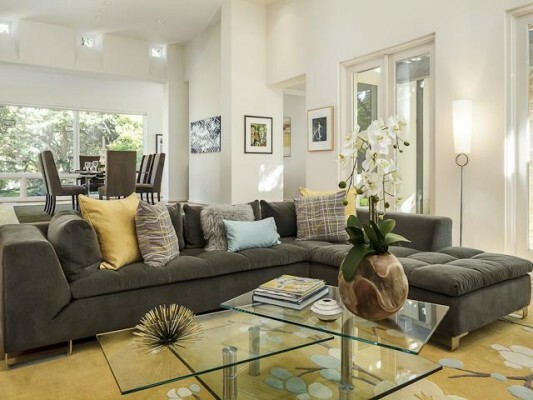 In all, you have four to five bedrooms, three full baths, two half, multiple living areas, a three-car garage, and the luxury of a 24hr guarded and gated community. HOA dues for this security are $850 a month. If you are looking for a “lock and leave” inside the Loop, this is it. 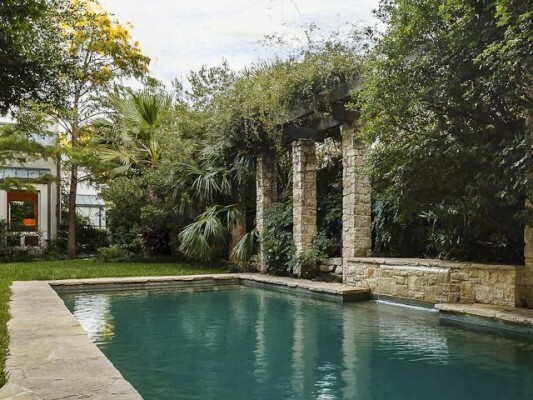 Listed by the wonder woman that is Becky Frey at Briggs-Freeman Sotheby’s, with artful staging by Cliff Ellman. 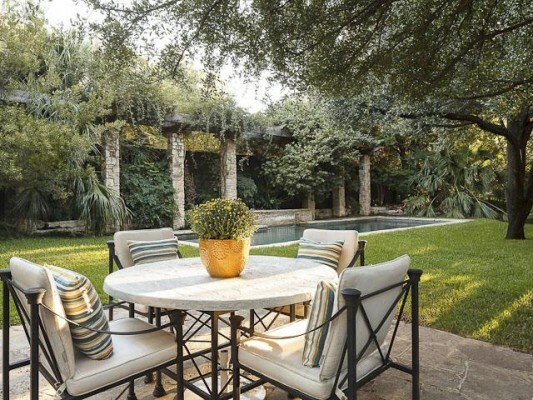 Problem is, the grounds are reminiscent of a Hill Country resort with giant stone paths, peaceful trellises, landscaping by Rosa Finsley, and that refreshing pool with water wall. 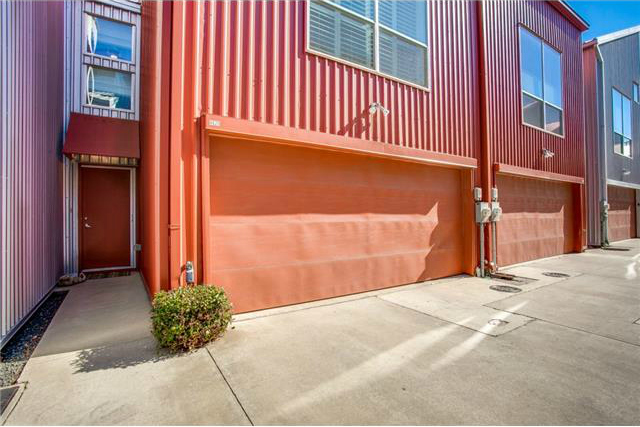 The lot is so well-landscaped, you can never tell where it ends. 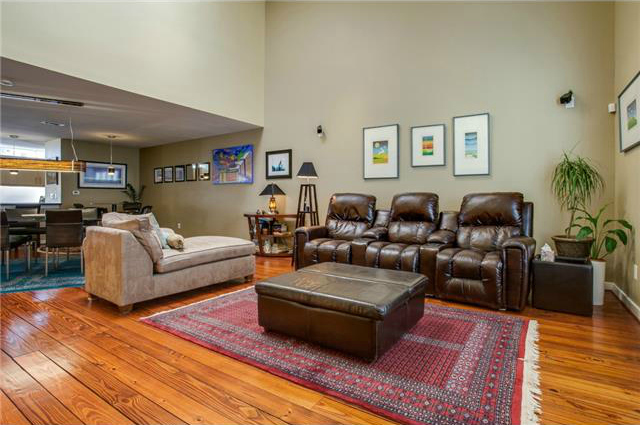 You might want to forgo that 5 hour drive and just relax at home!